So if you’re looking for biographical info on Bob Asprin, this ain’t the place to find it. You can find that info here and here . This is for me. This is for Bob. I’m not likely to be there for his French Quarter funeral procession, or anything else more formal. 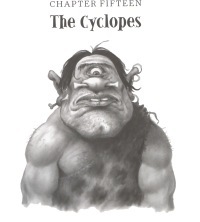 This entry was posted in Books, Comics, Fantasy, Other, Personal, Sci-Fi and tagged Bob Asprin, Fandom, Filk, Myth Adventures, Robert Lynn Asprin, SCA, Thieves World on May 23, 2008 by Shiny1. The book giveaway threads have been closed. I printed up the names of all the people who entered and drew names at random. Well, I did that twice since there were 2 books to giveaway. Check your e-mail if you entered the giveaway. This entry was posted in Books, FanaticSpace.com, Fandoms, Fantasy, Free Stuff, Fun Stuff on February 1, 2008 by 2xKnight. The book giveaway ends on January 31, 2008. There are only a couple of days left to sign up and win a book. All you need to do is make a post in the Contests and Giveaways forum on the FanaticSpace Forums. There’s no cost to sign up and there’s no cost if you win, it’s completely free. Right now there are only a handful of entries. You have a very good chance of winning. This entry was posted in Books, FanaticSpace.com, Fandoms, Fantasy, Free Stuff, Fun Stuff on January 28, 2008 by 2xKnight. Erec Rex: The Monsters of Otherness continues Erec’s adventures in Alypium. Can it improve on the strong beginning of the story found in Erec Rex: The Dragon’s Eye ? Erec returns to the Kingdom of the Keepers when he learns that Balor Stain may become King. The only way to stop Balor is to return and perform the quests to become King himself. It won’t be easy. Baskania has been hard at work in Erec’s absence. A cleaver PR campaign to cast doubt on Erec has taken hold. No one even believes that he is Erec Rex. What they do believe is that Erec cheated during the competition and that Balor Stain is the real winner. How do you help people that don’t want your help? How does The Monsters of Otherness stack up against The Dragon’s Eye? Pretty darn well. The story moves forward and you start to get a look at the overall structure of the story. Kaza has said that part of the basis of the story is the trials of Hercules. The quests that Erec has to perform are certainly Herculean. 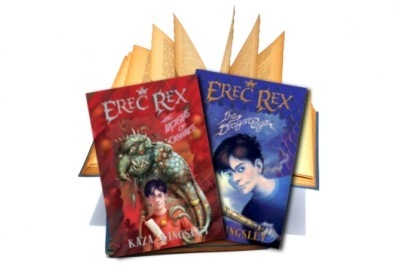 The first book, Erec Rex: The Dragon’s Eye, was a great introduction to the world of Erec Rex. The Monsters of Otherness is where the action really gets started. Not only do we get to see Alypium again, we also get to see some very different parts of the magical world. Magical and mythological creatures were talked about quite a bit in the previous book. This time they’re a huge part of the story. The magical world of Erec Rex is expanded and explored. Erec’s history is expanded too. We learn a little more about his past and why he is so important in this book. Everything from the First Book. All the strong points of the first book are still there. Mythological Creatures. I really enjoyed Kaza’s version of the creatures of myth and legend. There’s some pretty cool stuff going on in Otherness. Snail Mail. I just found that funny. I guess it appealed to the geek in me. Jam Crinklecut. The best butler ever. Rosco Kroc. To be fair, I don’t think he’s supposed to be likeable. He seems affable and charming to some of the characters in the book, but I think the reader is supposed to be suspicious of him. That isn’t why he made the list though. He’s mentioned here because of my theories about him. I won’t leave any spoilers here, but I’ll start a discussion about it in the forum if you want to check it out. 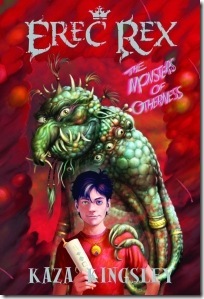 Erec Rex: The Monsters of Otherness is a great follow up to Erec Rex: The Dragon’s Eye. It not only retains the charm and action of the first book, it builds on it. It expands the magical world and ups the stakes for Erec. I’d recommend this book to anyone who has read The Dragon’s Eye. I’d also recommend reading the Dragon’s Eye if you haven’t already, just so you can read this one. I’m already looking forward to the rest of the books in the series. This entry was posted in Books, Fandoms, Fantasy, Reviews and tagged Authors, Book Reviews, Books, Erec Rex, Kaza Kingsley, Kingdom of the Keepers, Otherness, The Monsters of Otherness on January 15, 2008 by 2xKnight.